Bring back that old country charm of yesterday. Beautify your home. Add value to your property. 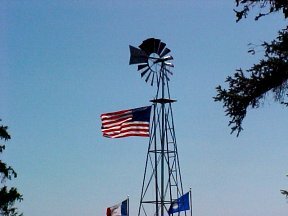 Relax while you watch your windmill spin with the wind and Old Glory flying in the breeze. 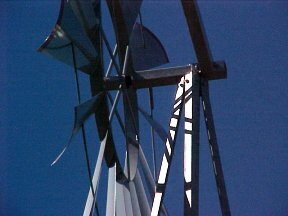 Our quality built windmills feature an aluminum structure with stainless steel bolts and nuts. This means they will not rust and never need to be painted like so many styles found elsewhere. 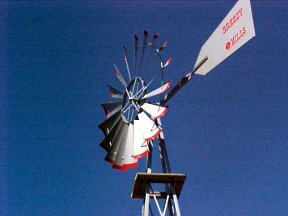 All windmills come with decal tape on the fan blades and tail fin in 2 colors RED or GREEN w/ YELLOW pin stripes. Again, that means no paint to chip off. 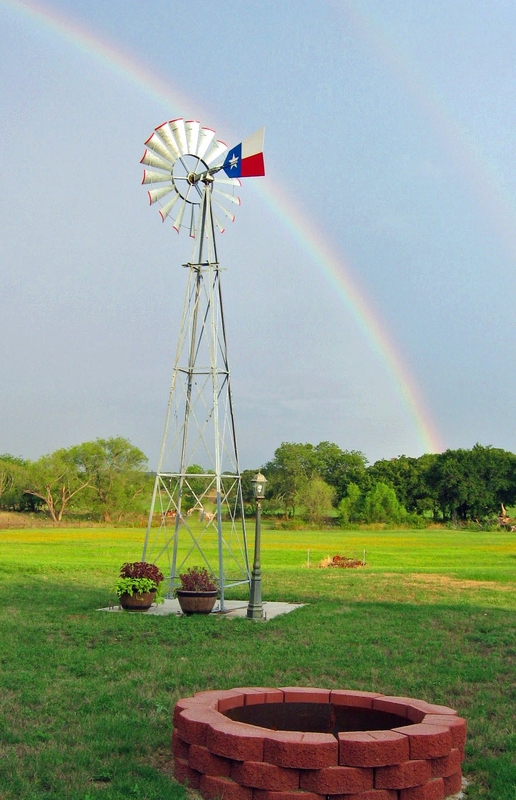 These windmills will bring back the beauty of the old farm windmills to your yard, acreage or farm. They are designed to the highest standards and manufactured from high quality stainless steel and aluminum. 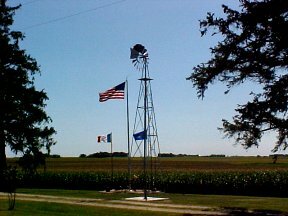 When properly anchored, they will withstand the high winds found in almost any area of the country. All joints are welded or assembled with stainless steel bolts. Special plastic bearings are used on the fan assembly of all models as well as the two bearing support assemblies on the 18 / 22 & 30 ft model. All models are assembled with horizontal/vertical & diagonal supports. Fan blade tips and tail assembly have red tape on both sides. All required hardware includes stainless steel nuts & bolts as well as four in-ground anchors. Assembly can be done with a minimum of tools. No heavy equipment required but recommend 2-3 strong men to erect the 18-30 ft models. Best of all, these windmills will never rust and never need painting. On the 18, 22, & 30ft models, the fan has a vesconite bushing that requires no lubrication. Aluminum fan & tail assemblies available for replacing existing equipment, call or email for more information. 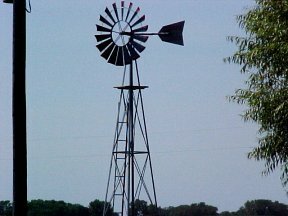 Heavy duty windmills are measured from ground to center of fan. Tapered roller bearings and seals on tail and fan assembly. Note: Fan rotates on 5 bolt machined 3,500# capacity hub w/ 1 1/8" tapered bearings. 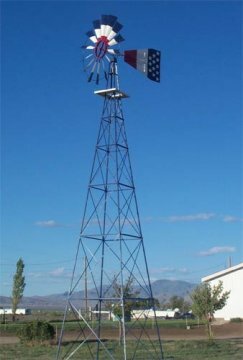 Note: These windmills have the appearance and structure of the original windmills. 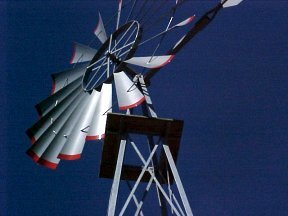 Shipping costs range from $75.00 - $380.00 depending on windmill size and destination.